Thanks to recent legislation aimed at eliminating single-use plastic straws, reducing the restaurant industry’s disposable waste has been a hot topic. However, bans on polystyrene foam – colloquially referred to as Styrofoam, though this is actually Dow Chemical Company’s trademarked name for its extruded polystyrene material – have been around for decades, dating back to Berkeley, Calif.’s ban on the material in 1988. 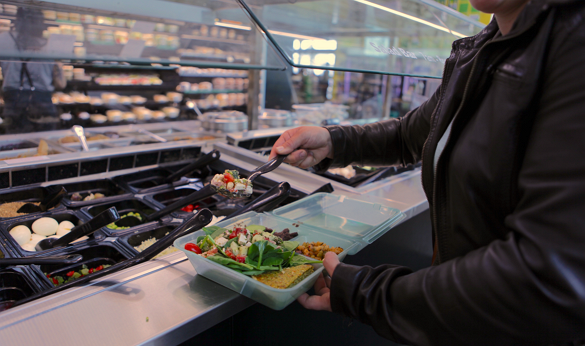 Over the past several years, universities and other institutions have turned to reusable to-go containers like Eco Take Outs by G.E.T. as an alternative to disposable carry-out boxes. These systems, which are usually confined to a single campus or building, have not always seemed translatable to larger-scale implementations in counties and cities. That didn’t stop GreenToGo co-founders Crystal Dreisbach and Amy Eller from pursuing their dreams of a waste-free takeout solution for Durham, N.C. Since the program’s July 2017 launch, it has been added to 24 restaurants, gained 457 members, and kept 1,258 foam containers out of the trash. GreenToGo is one of several sustainability and waste prevention initiatives overseen by Don’t Waste Durham, a local nonprofit of which Dreisbach is executive director. The program partners with local restaurants to offer reusable to-go containers that can be used by its members in place of foam containers. To use the program, customers purchase an annual GreenToGo subscription that allows them to check out between one and four boxes at a time. Pricing starts at $25 and goes up $5 for each additional box. 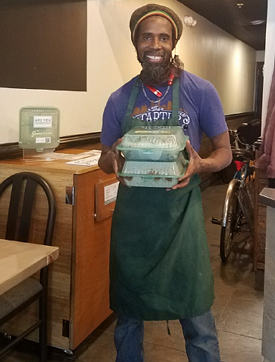 Once customers are finished with their reusable to-go containers, they can be dropped off at return stations – made by volunteers from recycled lumber – located near participating restaurants and businesses. Then, a member of the GreenToGo team uses a bicycle-powered trailer and customized routes to collect dirty containers from the return stations. Beyond monetary costs related to participation – including an annual fee and one-time $100 return station fee – the program doesn’t require any legwork from restaurant owners and employees. That technology includes a mobile app for GreenToGo members, a QR-based system for checking boxes in and out, and the ability to monitor how many boxes are at each location and return station. Although GreenToGo launched in 2017, Dreisbach first thought of the concept in 2009, when she was “just a regular person [with] a dollar and a dream.” Her dream started to become a reality in 2011, after direct appeals to local restaurants finally yielded a response. By 2016, Don’t Waste Durham had the team members and community support needed to begin building the GreenToGo program. 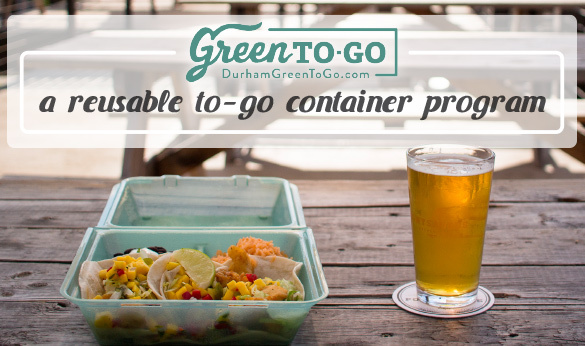 Although funding was an important step in launching GreenToGo, being able to install the program in restaurants across Durham hinged on another crucial factor: approval from the health department. 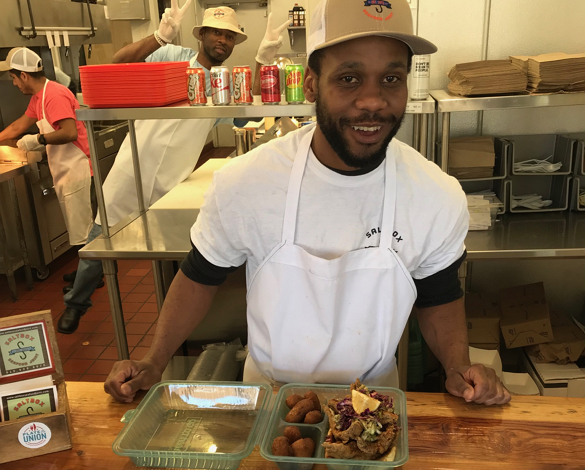 Since buying or renting their own space equipped with warewashing equipment wasn’t a feasible option, the GreenToGo team sought out a partnership with a local business that would allow them to wash the reusable to-go containers in an existing facility. From the Kickstarter campaign backed by hundreds of supporters who helped raise $26,242 to dozens of business partnerships, GreenToGo was built with “lots of community love” that continues to help it grow. GreenToGo has been rolled out in two dozen restaurants, but there are still several interested restaurants already signed up to be included next. Some of those restaurants have been supporting GreenToGo since before the program officially launched last year. The GreenToGo team is preparing to use what they’ve learned over the past year to scale the program to a city-wide level. Ultimately, Dreisbach and Eller hope the program can be implemented even beyond Durham’s city limits. 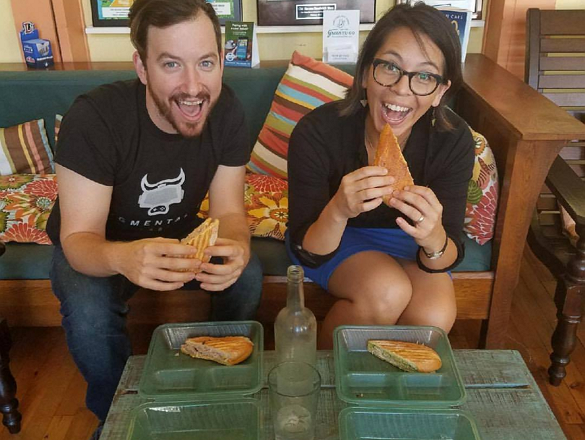 Now, their dream is for GreenToGo’s reusable to-go containers to not just be an alternative option for takeout, but a restaurant industry standard.